Tianguis Jackson has established it's self as a reputable and respected silver jewellery manufacturer since opening it's doors in 1993. All Tianguis Jackson Silver Jewellery is generally hand made in Mexico for Tianguis Jackson by small artisan jewellers. We are proud to be official retailers of Tianguis Jackson, and are able to obtain any product from the range, even if it is not currently listed on our website. All of the Tianguis Jackson Jewellery will be packaged in beautifully branded packaging. Quality Silver branded jewellery is either jewellery made by us, commissioned by us, or from small companies that are generally too small to have their own branding. All silver jewellery under the brand is selected for both its quality and value, and is made from sterling silver. All Quality Silver branded jewellery is generally in stock for a fast dispatch, and available in Quality Silver branded packaging. The range is very extensive, with silver jewellery for both men and women, as well as a range of silver giftware. Kit Heath is a fabulous range of inexpensive silver jewellery. All jewellery is in stock for immediate dispatch. Unique rings totally made to your specification. 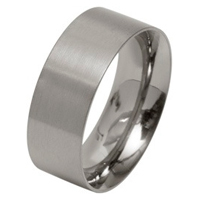 You choose the materials, width, depth, any personalisation and Geti will make your unique wedding ring. Each item will arrive in a "Unique Men" branded packaging. The Italian brands range of clip-on charms made from sterling silver, with a white gold rhodium finish. Each charm can easily be clipped on, and off at will, and fit most brands of silver charm bracelets.